As the video game industry evolves with new technologies, its environment has also been affected by cultural change. At the intersection of these shifts is Miriam Aguirre, the senior vice president of engineering at eSports juggernaut Skillz, which was named last year’s fastest growing company in America by Inc. Magazine. Founded in 2012, Skillz established itself as a worldwide leader in the realm of eSports, providing a mobile venue for online sports tournaments that, as of 2018, boasts more than 15 million registered users across more than 180 countries. The company hosts more than one million tournaments every day and grew its revenue more than 125 percent from the first quarter of 2017 to the first quarter of 2018. Aguirre, an MIT graduate and lifelong gamer, joined Skillz in 2013—though the decision was a delicate one. Despite her passion for games, the industry’s long history of low pay and sexism in the workforce previously steered her down other avenues. Hearing founder and CEO Andrew Paradise’s vision for Skillz changed her mind, as did the cultural shifts that emerged from the incendiary Gamergate controversy, which helped expose some of the systemic issues of the industry. 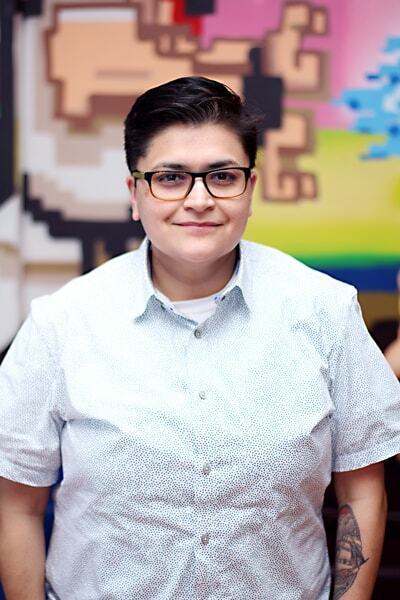 In an interview with The Alumni Society, Aguirre elaborated on her decision to enter the gaming world and how Skillz is working to create a culture of diversity and inclusion in a rapidly changing industry. How did you end up in the gaming world? For all of the love that I have for games, I didn’t have a lot of love for the gaming industry. It can be very sexist and misogynist, and people are often underpaid because companies know jobs in the gaming space are in high demand. I came out of MIT with a significant amount of school loans, and I didn’t want to take a chance on my career. Working in the gaming industry? I didn’t think I could afford it. Also, it just didn’t seem like the culture was going to be very kind to me, so I steered away from it and decided to take care of some business first and focus on my career. It wasn’t until five or six years ago that I felt like I finally achieved the level of financial security to feel comfortable taking a potential career risk and going into gaming. I decided, ‘Okay, if any job is toxic, I can just leave.’ Around the same time, I ended up meeting Andrew and the opportunity was perfectly timed in terms of what I sought. I was excited to hear about the product they were working on and really liked the environment and culture that they were trying to create. What steps have you taken at Skillz to help create a more diverse, inclusive environment? For us, it begins right at the hiring process, by separating the actual skill assessment of candidates from subjective assessments about them. That involves putting a bit more rigor around creating standardized—but practical—testing to help eliminate the kinds of unconscious biases that can arise. The scoring of the test indicates to us at level they’re performing at, and this allows applicants to have the same experience regardless of the stage in their career. The first people we ever hired were engineers, and through using this process from the beginning, our engineering department ended up being pretty diverse. That original team then set the tone for future hiring, which really helped us continue to grow into a diverse organization. It’s a lot harder to go back and fix that sort of problem after the fact. How would you say the organization has evolved over the past few years? Now that we’re a much bigger organization, we can do a lot more. We can be more charitable with our time, which means more focused programs around mentorship and giving back to the community. We’ve hosted tournaments for nonprofits, including Susan G. Komen and the ASPCA, and employees have dedicated more of their spare time to helping underrepresented minorities become familiar with tech and work on their interviewing skills. Would you say that you’ve seen changes on a macro level in the gaming industry when it comes to diversity and inclusion? I’m starting to see some movement. There have been a couple of initiatives in the past few years that really helped, like the Gamergate controversy. That really brought the dirty laundry out into the sunlight, and I think people are more likely to believe women in these situations now. Women in leadership positions are now able to now start having more influence and creating a better environment for future generations. The #MeToo movement is another big part of it. Out of some really terrible situations have come a lot of opportunities for women and girls interested in these careers. It has taken time, but I do think that, in general, things are starting to move in the right direction. One of the best things that we can do as a company that starts out with a diverse team is to prove that it’s not just all talk. We were the fastest-growing company in America last year. For some people, seeing is believing. This does work. I think we’ve forgotten how much games can bring people together. It’s easy right now to focus on things that separate us or divide us. However, especially with the prevalence of mobile phones everywhere, I’m hoping that our platform can is to provide a kind of positive social interaction and positive aspects of interacting with others.